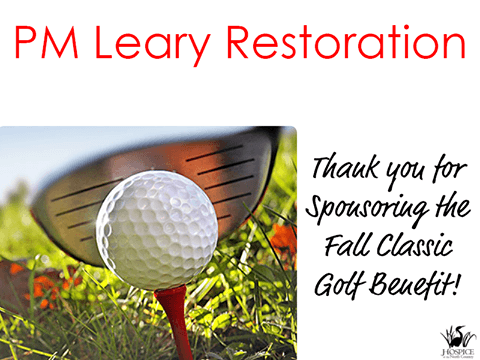 We invite you to participate in our Fall Classic Golf Tournament! This year’s tournament will be held at the picturesque Bluff Point Golf Resort in Plattsburgh on Friday, September 16. The shotgun start is at 8:00 a.m. with a BBQ lunch following the tournament. The four person scramble (Men’s, Women’s, Mixed) is $60 for Bluff Point members and $80 for non-members. The entry fee includes a T-shirt, greens fees, golf cart, and BBQ. Want to play? You can find a Team Registration Form on hospicenc.org and our Facebook page https://www.facebook.com/events/913094808834241/. Or, you can stop at one of our locations: 358 Tom Miller Road, Plattsburgh or 3909 State Route 11, Malone. You can also enter your team by calling 518.561.8465/518.483.3200 or email clamitie@hospicenc.org. We would appreciate your support as a Sponsor–please contact us for more information (518.561.8465 or clamitie@hospicenc.org). It is with the generosity and support of our community that we continue to fulfill our mission of providing end-of-life care to those in need. Please help us continue having a meaningful impact on the patients and families we serve.